The first survey of leading street photographers in twenty years, Street Photography Now celebrates the work of nearly fifty image-makers from across the globe. Included are such luminaries as Magnum grandmasters Gilden, Parr and Webb, as well as an international posse of emerging photographers. 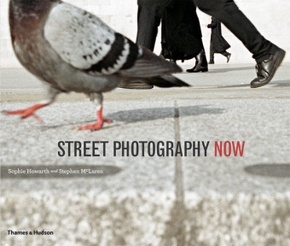 Four essays, quotes from interviews with the photographers, and a select bibliography and resource section completes the book.This is essential reading for aspiring street photographers, lovers of innovative modern photography, or anyone fascinated with the unexpected quirks of everyday life.